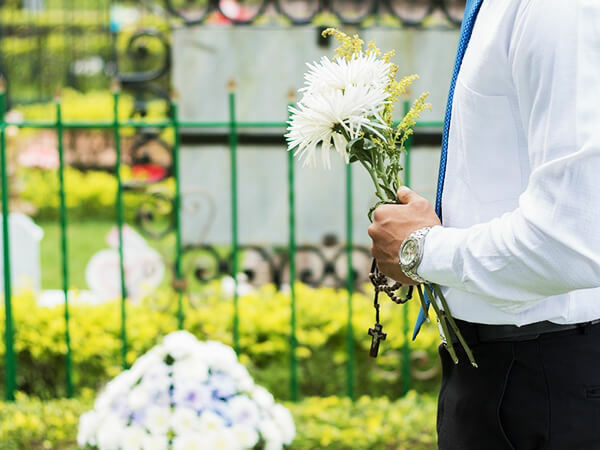 The caring and experienced professionals at Turner Funeral Home are here to support you through this difficult time. We offer a range of personalized services to suit your family’s wishes and requirements. You can count on us to help you plan a personal, lasting tribute to your loved one. And we’ll carefully guide you through the many decisions that must be made during this challenging time. For five generations, the Turner family has humbly and honorably served their friends and neighbors in the funeral business. J.C. Turner first served his community as early as 1890 by building caskets in his livery stable under the watchful eye of his young son John at Frisco, OK, northwest of Yukon. John grew and so did the need for funeral assistance. By July 5, 1905, John began offering funeral goods and services throughout Canadian County. At that time most funeral services were provided at the home of the deceased. Soon he attended Eckels Derma-Surgical College and School of Ultra Embalming in Philadelphia, PA, and John became one of the first certified embalmers in Oklahoma, graduating April 24, 1914. John moved his funeral business out of the Turner Hardware when he built the first full-service funeral home in Yukon, OK. Soon, his sons Archie, Ralph, and Martin joined him as funeral directors and embalmers. On December 14, 1941, Martin Turner graduated from Cincinnati College of Embalming in Cincinnati, OH. From April 1949-January 1989, Martin and his wife Vera Lee made their home in Geary, OK, owning and operating the Turner Funeral Home as well as the Turner Ambulance service and Vera Lee’s Flower Shop. Martin was one of the first funeral directors in Oklahoma to become certified as an Emergency Medical Technician, graduating April 25, 1969, in New Orleans, LA. Their son David followed the family tradition and began working in the funeral home in 1961 before attending and graduating from the Dallas Institute of Mortuary Science in Dallas TX, August 20, 1971. Dave along with his wife Nancy purchased the Hinton-Turner Funeral home from Martin and Vera Lee in 1974 and the Turner Funeral Home in Geary on January 1, 1989. Continuing in the family tradition, Andee joined his family’s businesses after graduating from the Dallas Institute of Mortuary Science in Dallas, TX, December 5, 1997. On March 1, 2000, they opened the Turner Funeral Home in Binger, OK. Andee’s wife Kori Turner graduated with a Mortuary Science Degree from the University of Central Oklahoma May 10, 2002. Andee and Kori then purchased the funeral homes from Dave and Nancy February 1, 2007; on January 14, 2010, they added a full-service crematory at their location in Hinton. Serving each family with care, respect, dignity, and patience is our time honored pledge.